Join us for our Wednesday night dinner and study this Lent! 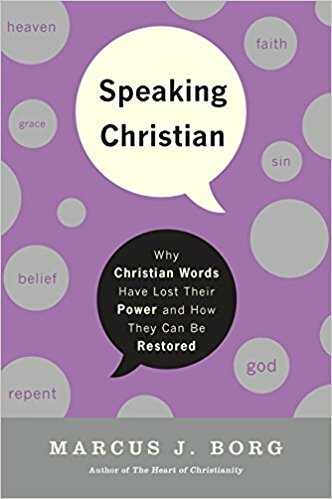 We’ll be gathering for a potluck at 6:00 and following with discussion of the book Speaking Christian by Marcus J. Borg. The book takes a look at a number of different ideas and themes in Christianity that we may not clearly talk about, and opens the way to finding new ways of understanding the mystery of faith. We’ll cover two topics every Wednesday, and incorporate one of them into each Sunday’s sermon. We’ll also be talking about chapters at EmmanuAle in February and in March. I recommend getting the book; we have ten copies in at Plot Twist on North Ankeny Boulevard (and it’s available at online booksellers). We won’t be covering every chapter of the book, but it’s a handy reference.